Mt. 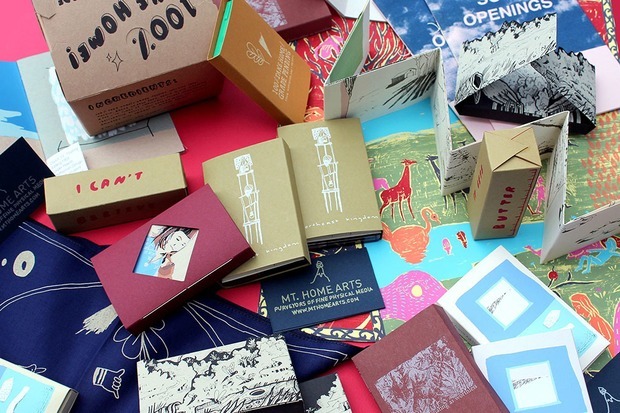 Home Arts, a self-described publishing engine, will host a comprehensive arts showcase at Silent Barn on Wednesday, August 17 with a list of artists, readers, and contributors worthy of an entire festival. Curator and founder of Mt. Home Arts Matthew Van Asselt started the multimedia organization while still at college studying printmaking. He explains: "I was making some pretty extensive packaging for my own music, and people seemed to like it, so it kind of took off from there." It's, then, how the initial impulse to combine printmaking, the written word, and music has developed into this first ever showcase of artists associated with the organization. 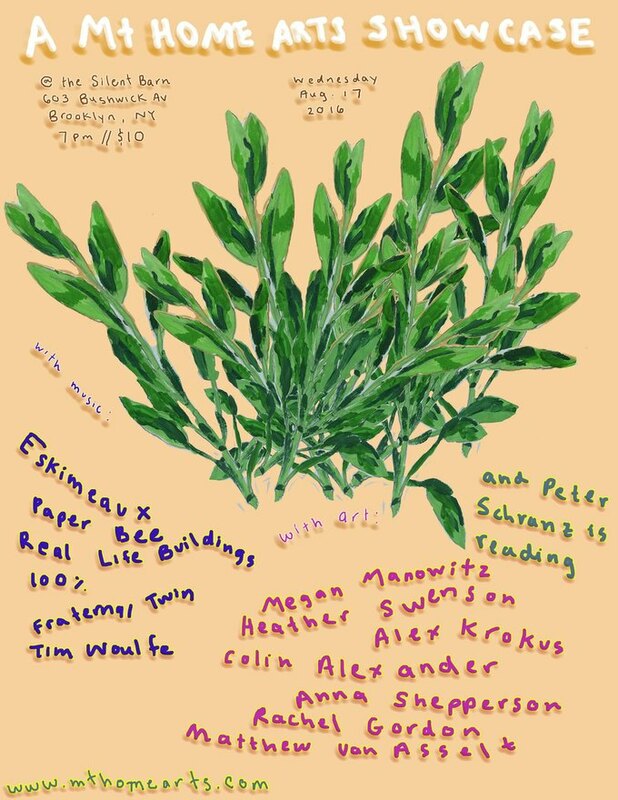 Performances include sets by lo-fi pop outfit Eskimeaux and local indie quintet Real Life Buildings; a reading by Peter Schranz; art by Heather Swenson and Megan Manowitz; and animations by Alex Krokus. The full lineup is listed in the poster below, and all artists will have some of their visual work on hand for purchase. All artists are fond of a genre and medium-hopping aesthetic, which Van Asselt says attracts a dedicated audience because "we're a little bit more unique of an entity than say just a record label, or just a book publisher." The event starts at 7pm, and tickets can be purchased here for 10 dollars.